We recognize the importance of protecting the privacy of all information provided by users of our website. We created the following policy guidelines with a fundamental respect for our user's right to privacy to guide our relationships with our users. We will not reveal any personal information that users provide to us to any third party without their permission. KSR Sales uses users IP addresses to help diagnose problems with our server and to administer our website. We also use it to gather broad demographic information about our users in general. This information does not contain anything that can identify users personally. We may combine demographic information supplied by a subscriber at registration with site usage data to provide profiles, in aggregate form, about our users and their preferences in the content of the site and advertising. Although KSR Sales does not specifically seek to obtain any information from children, there are certain areas of our website that children may visit. We urge children only to give us any information after they have discussed it with their parents. When you supply us with personal information to order a product, the information you provide will be added to our customer file. You may receive periodic e-mailings from us with information on new products and services, discounts, special promotions or upcoming events that we offer. If you do not want to receive such mailings, then please e-mail us at customerservice@ksrsales.com to remove yourself from our contact list. 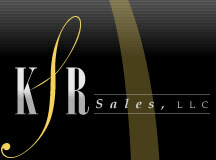 Providing you with a secure online experience is a high priority of KSR Sales. We recognize that your privacy and security are of the utmost importance, and we have devoted a great deal of effort to ensure that your personal information is safeguarded. Your transactions are kept private by industry-standard data encryption. To help protect your credit card number and personal information, we encrypt every order in transit. Encryption is a process by which we use software to scramble your credit card number and personal information. When you see either a solid key icon or a locked padlock icon at the lower portion of your browser window, then your site is secured through Secure Sockets Layer. We use industry-standard encryption technologies when transferring and receiving your information on our site. If you do not see one of these icons, please contact your Internet service provider. When we transfer and receive certain types of sensitive information such as financial information, we will redirect you to a secure server and notify you through a pop-up screen on our site. If you are uncomfortable with submitting your personal information via the Internet for any reason, please feel free to contact us over the phone or via fax to complete your order.